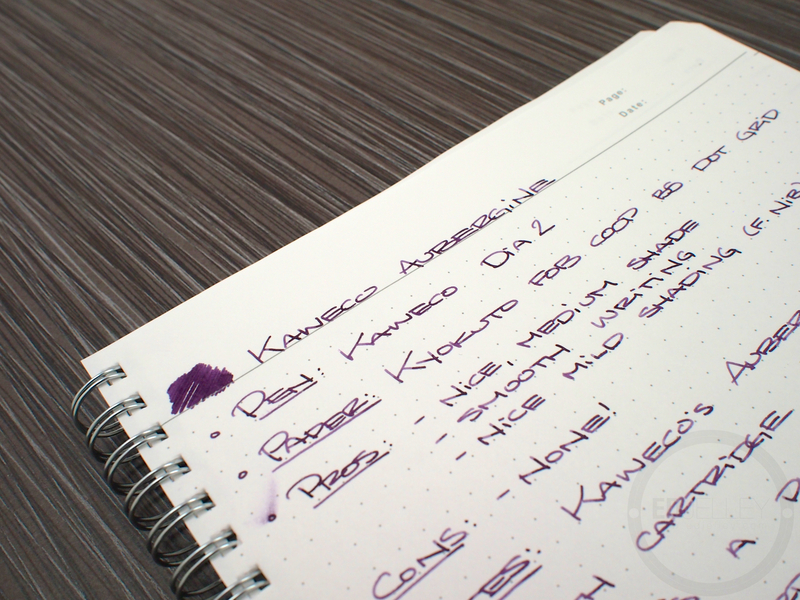 Kaweco’s Aubergine comes in both cartridge and bottle form. 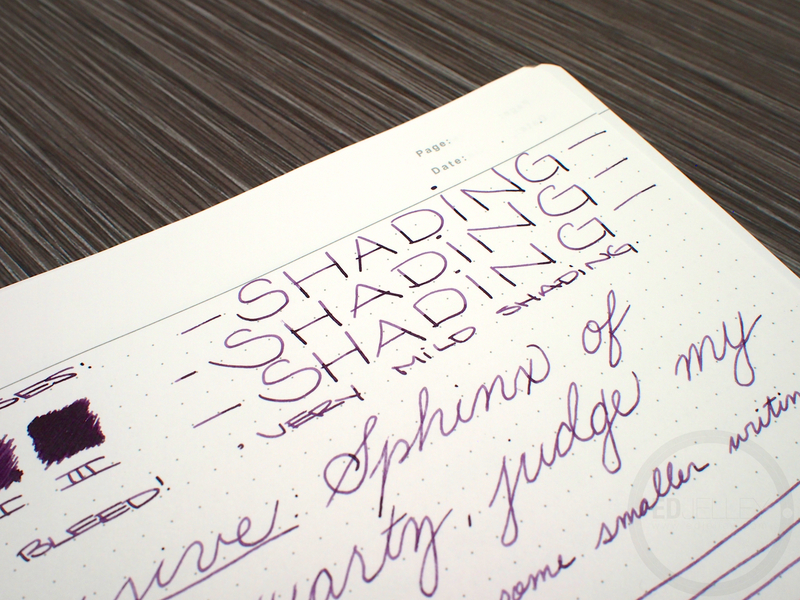 It’s a pleasant shade of medium purple that I like quite a bit. 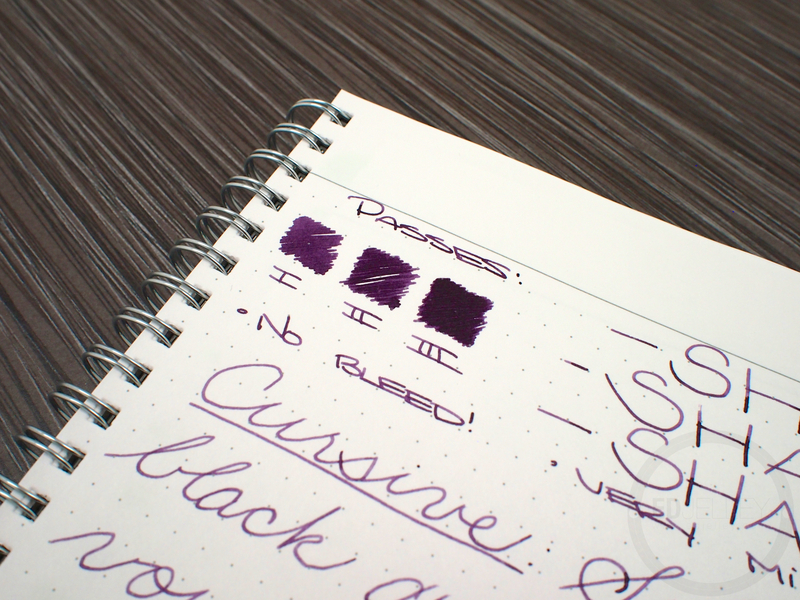 It doesn’t fall into that wonderful “dusty purple” category I love so much, but it’s pretty darn close. 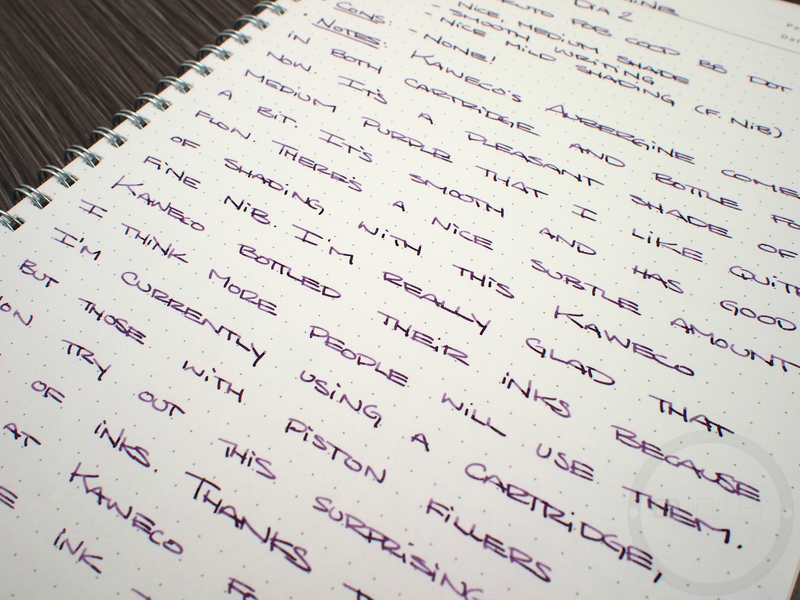 Like all of the Kaweco inks I’ve tried, it’s very smooth and has great flow. 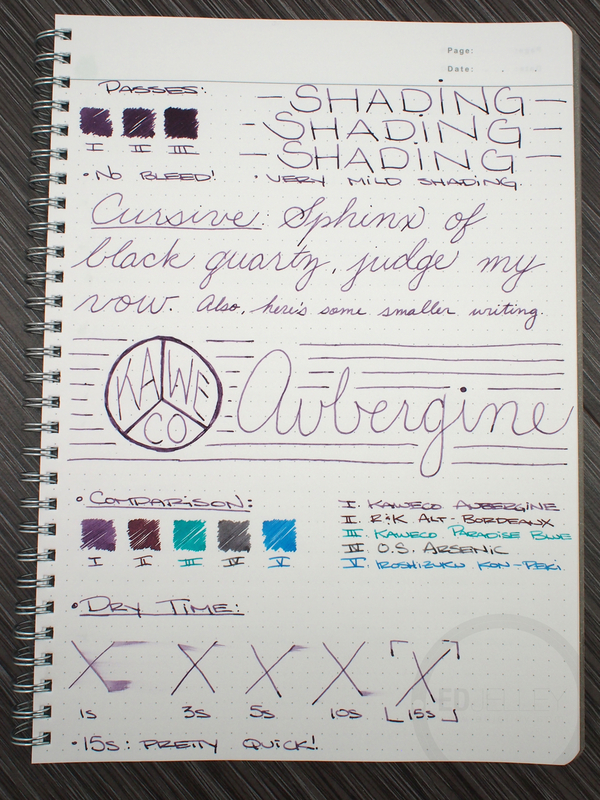 There’s a surprisingly nice amount of shading considering that I did the review with a fine nib, I should really check this ink out in something a bit wider to unleash its full potential. I’m very happy about the new bottled ink format because I think it will really open the ink line up to more people, as their inks were only available in international short cartridges. 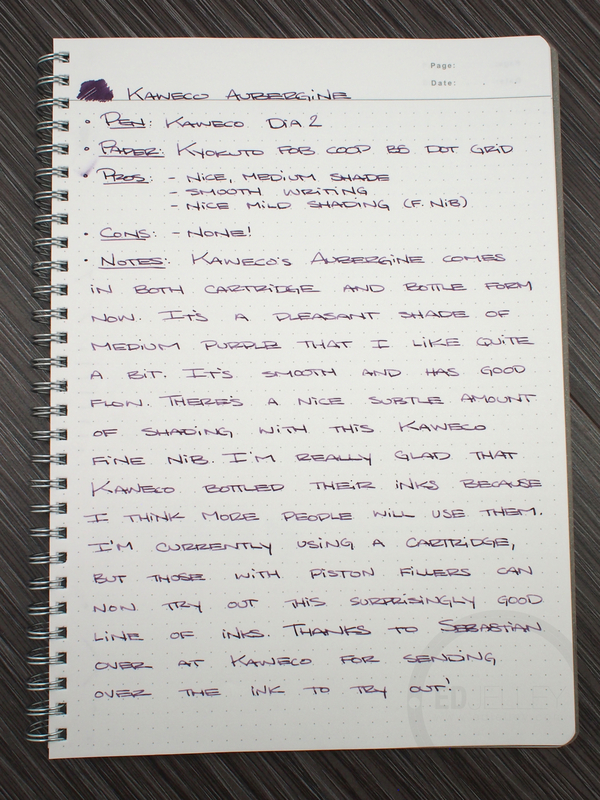 Big thanks to Sebastian over at Kaweco for sending this bottle of ink over for review! 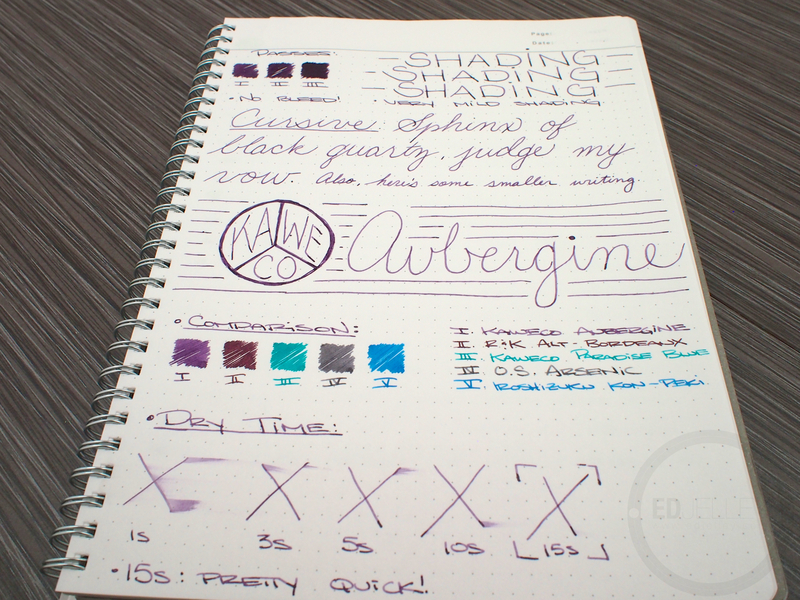 I seem to have gone purple at the moment, and this has gone on the list. 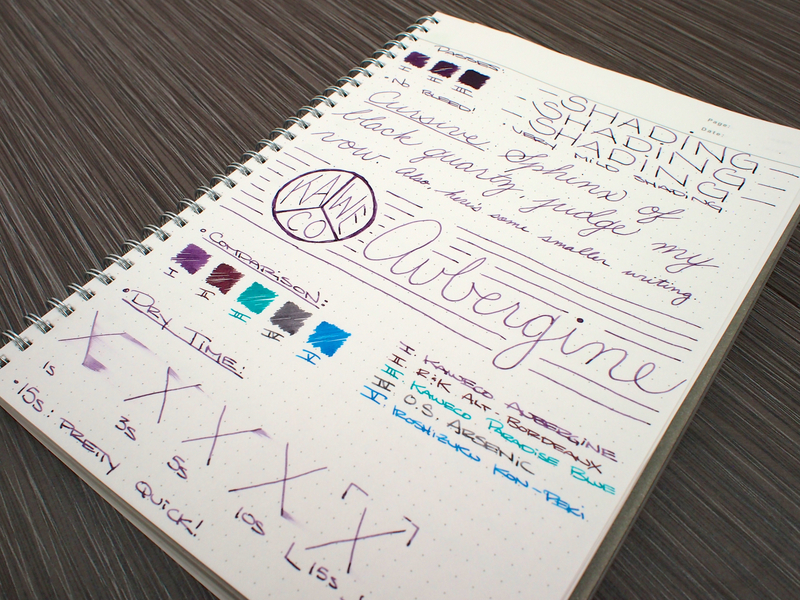 I do love bottled ink. 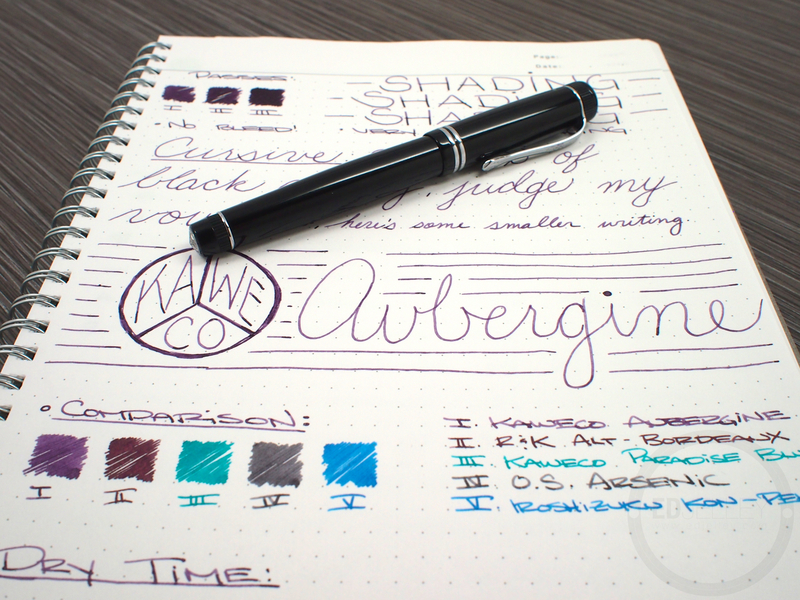 Check out Rohrer and Klingner Scabiosa too!